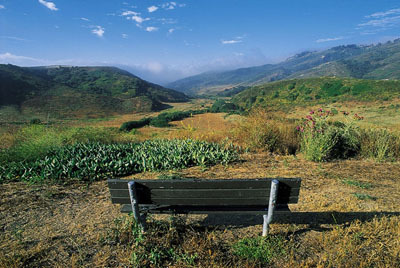 With approximately 4,000 acres of wilderness and natural open space land with hiking, mountain biking, and equestrian use, this expansive park sits at the south end of the Laguna Greenbelt, bordering Aliso Viejo. Its canyons harbor a pastoral feel unmatched in Orange County. Favored with petroglyphs etched by native people, Aliso & Wood Canyons are natural wonders still to be enjoyed. Discover suburban recreation at its best, with a wide selection of outdoor activities, including tennis, volleyball, jogging and bicycling in a spacious, well-landscaped setting. Also enjoy fishing and boating on the park's 44-acre lake.